Elvis Presley was a popular icon of pop culture and glamour. Why not dress up like dynamic rock and roll singer for your party? 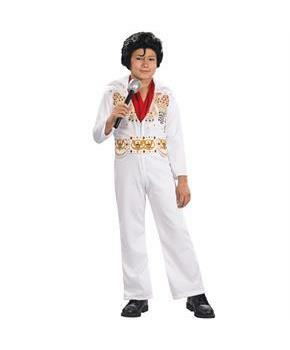 Elvis Presley costume will make you a show stopper for sure. Get ready for thrilling dance night after wearing Elvis Presley costume. Give him a special gift of his favorite character's costume. Get your boy ready for special trick or treat for Halloween eve in this costume. 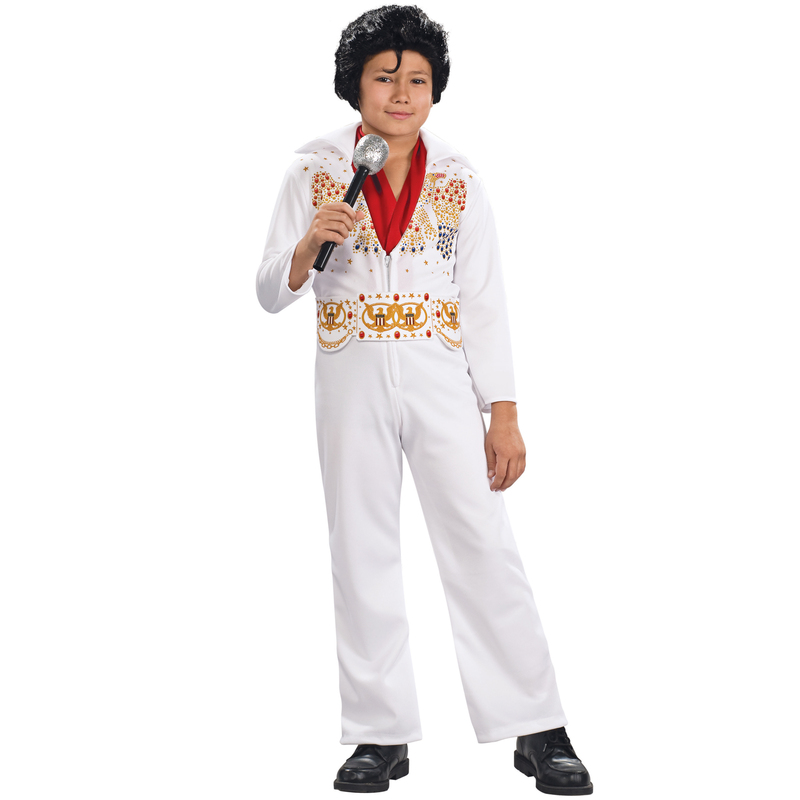 Make your special moments amazing in Elvis Child costume and capture yourself in camera to make it forever. Material: Jumpsuit, Neckband: 100% Polyester; Belt: 100% Polyurethane.